I purchased this beautiful, limited edition instrument new in 2003 and it has never left my bedroom! Maybe an hour of careful use as I collect, never gig with them. 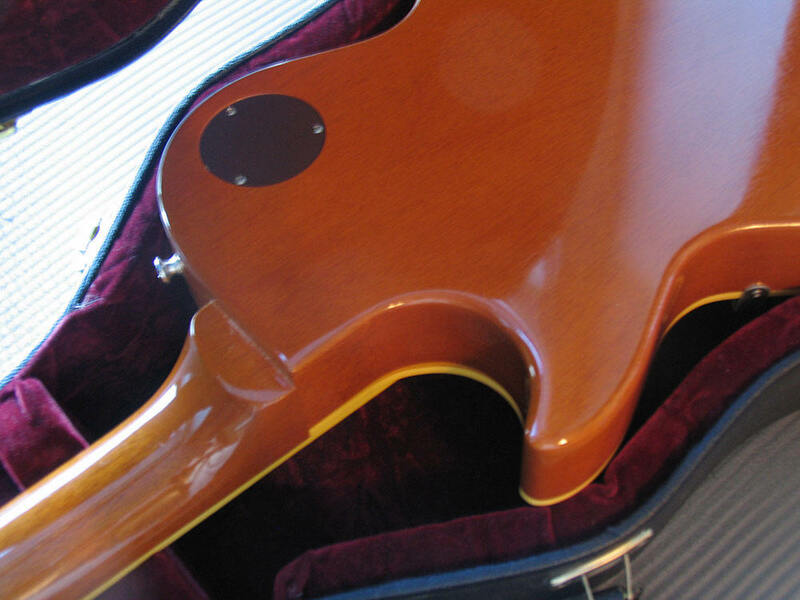 As interested parties know, very few were made with Brazilian Rosewood Fingerboards and these are highly sought after. 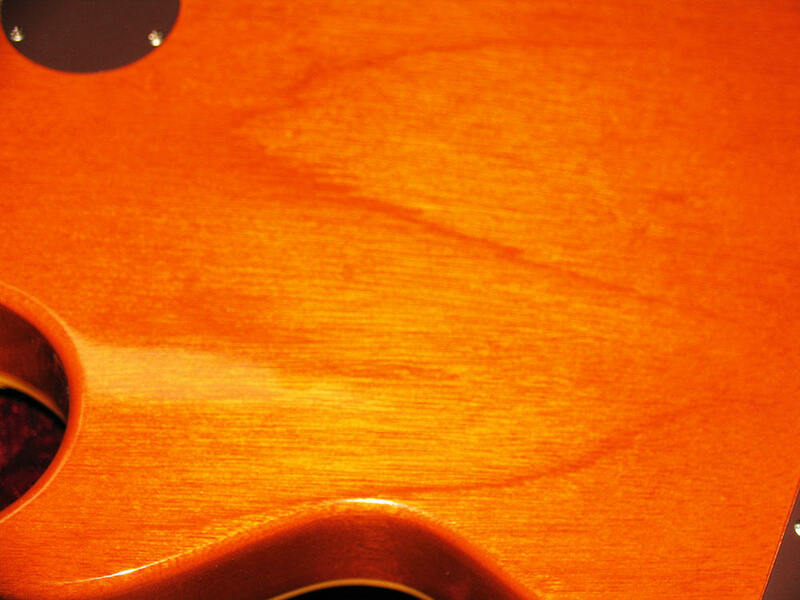 Resource shortages and environmental issues ensure that Gibson will never be able to offer Brazilian Rosewood again. 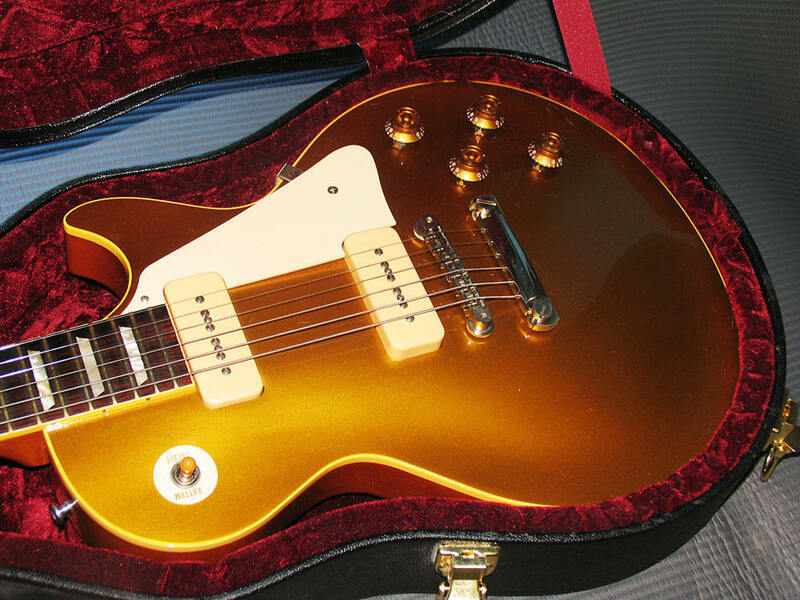 Only 148 1956 Gibson Historic Les Paul Gold Tops were made so the scarcity of this gem is obvious. These rarely come up for sale. 2003 Brazilians are highly sought after as investments. 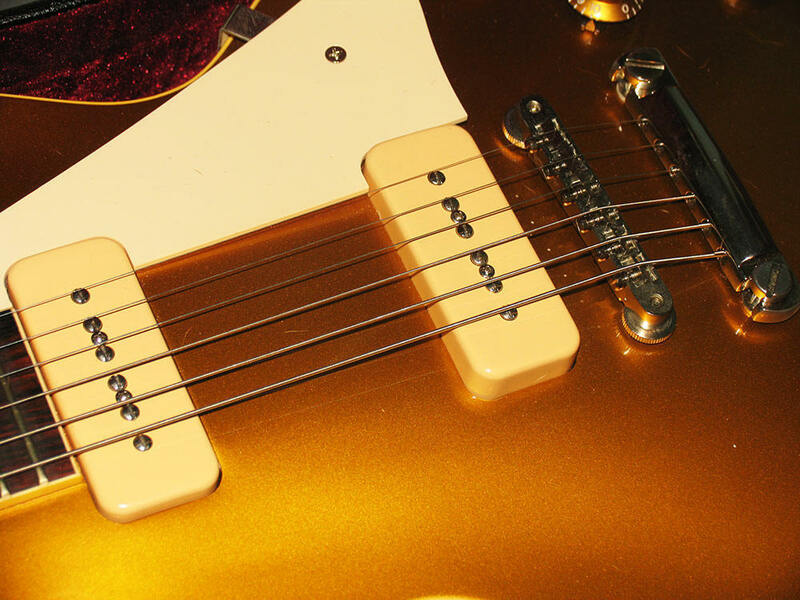 The finishes on Gibson Historics have always been most accurate and authentic on the Gold Tops. No phony aging, tampering, fading. 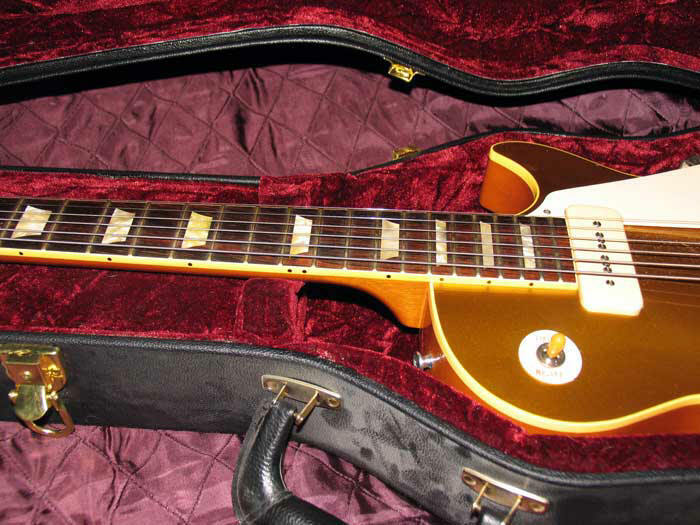 The Bronze Gold is incredibly close to original 1956 and 1957 Standards I've owned. 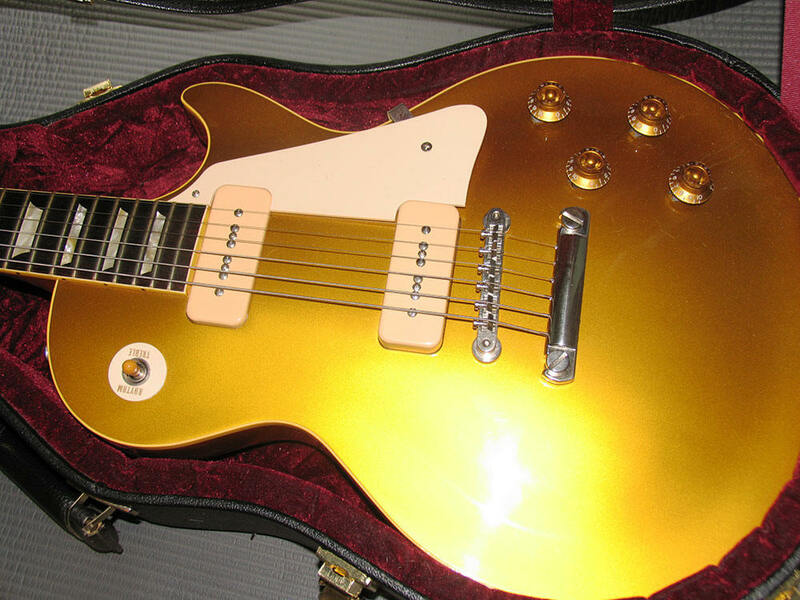 In 2003 Gibson Historic updated the Les Paul Standard with CTS pots and Bumble Bee capacitors and a host of hardware and trim updates to bring the reissues even closer to originals. This instrument is fully original. Played usually through my 4203 Marshall Artist, it heavily overloads the Clean channel at five to deliver a thick, classic Bluesbreakers tone, no added gain necessary. Acoustically, the Brazilian board produces a loud, full, very impressive sound. Any apparent marks on the pictures below are dust or hair from my dog. 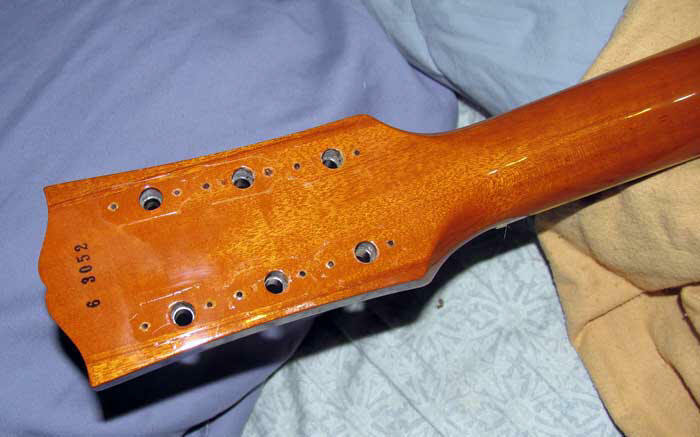 The finish is dead perfect, identical to new. 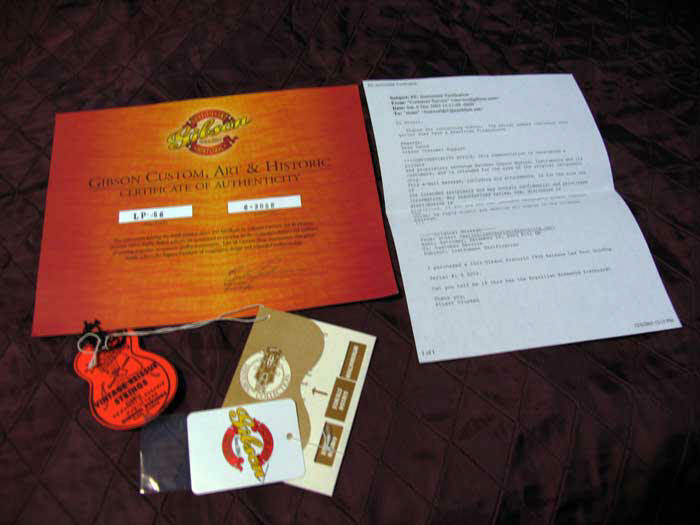 The knowledgeable collector will notice that I've updated the stock Gibson Klusons with the more appropriate Kluson Deluxes. The originals showed rust quickly so I put these on. 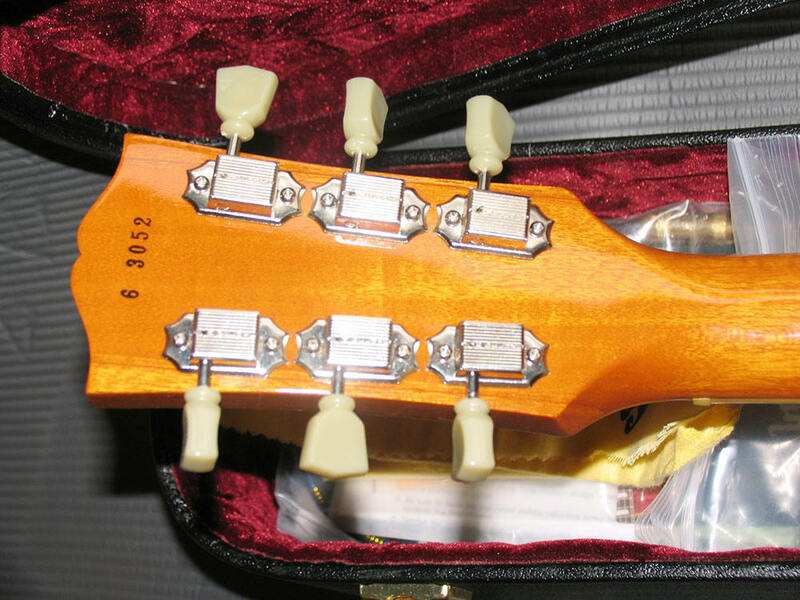 However, the guitar will ship with the original tuners. All paperwork and Gibson accessories are included. I've gotten much interest in this instrument but some "serious customers" have balked at my payment terms. No Paypal, no credit cards. The reason is very clear. In fact, everyone knows it (but all profess ignorance!). Sellers have NO protection against Buyer fraud. Paypal and your credit card company support Buyers, not Sellers. I am a credit card merchant with an impeccable record who is, sadly, aware of the limits of my protection and, in fact, sit on the board of a National Merchants Action Group attempting (in vain) to reform government anti-merchant bias. We activist merchants know every illegal trick in the book (from sad experience). Accordingly, I must protect my property. 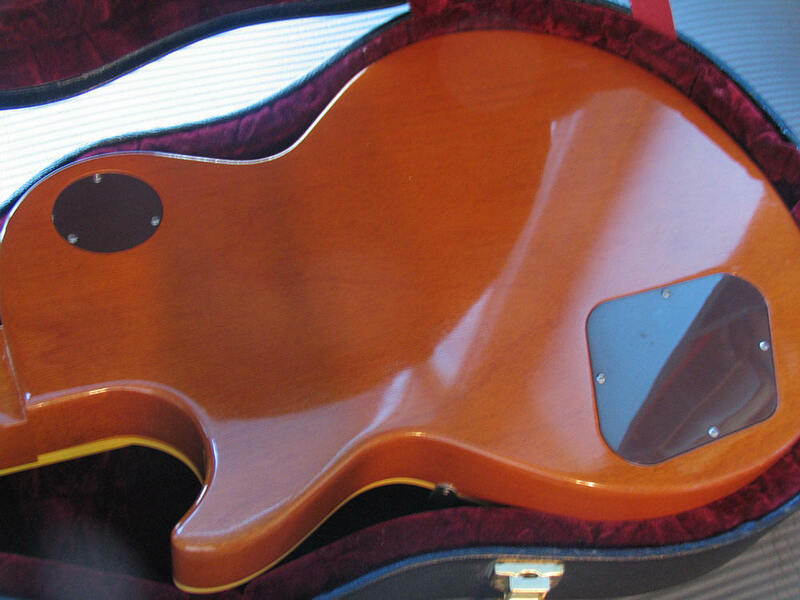 I've been burned once by a well-known guitar crook who stole valuable original paperwork from my 1959 Les Paul Custom when my back was turned. 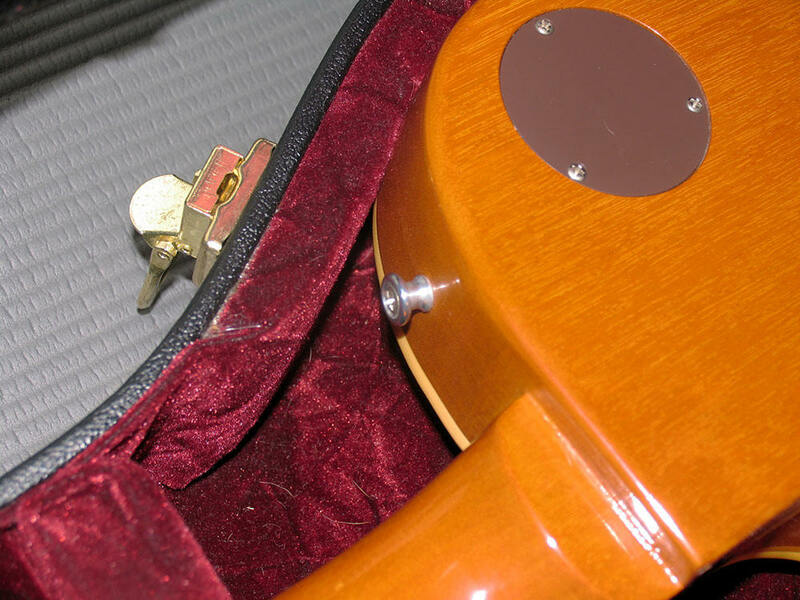 The reality is that vintage and collectable guitars often attract the lower reaches of the food chain. 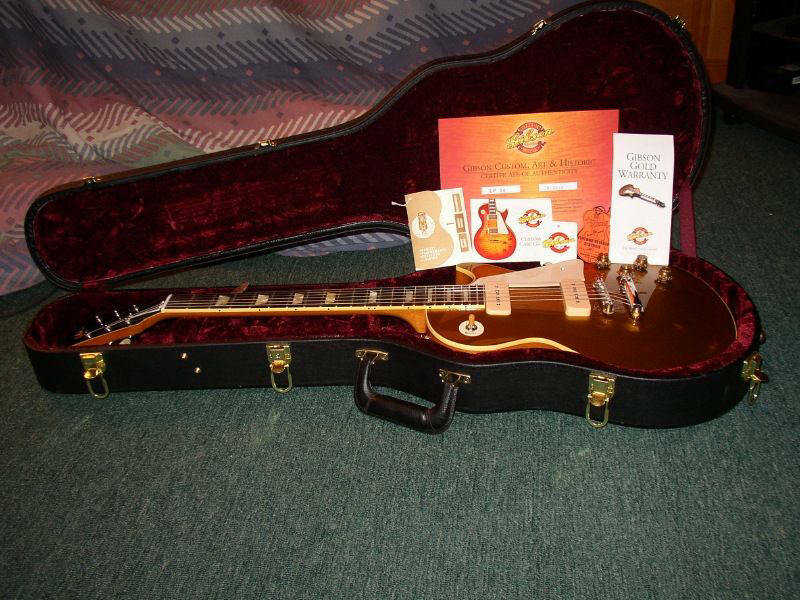 If you're interested in buying this guitar, come and see it with cash. I'm in NYC. If it's too far, too much of a hassle, fine. Don't blame or cast aspersions at me, it's not personal. Bottom feeders pollute the field for everyone else.